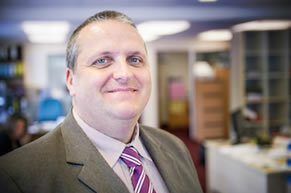 Burton-born Wayne Penlington has been with Alexander Accountancy since 2009 and is never happier than when dealing with local firms and advising small businesses on how they can improve their financial performance. Wayne thrives on joining up with clients to become part of their team and work with them and he brings a great deal of experience to the table for them to benefit from: 15 years in practice alongside 10 years of working in industry. That time spent at the coalface of business helps Wayne to properly understand and appreciate the pressures and demands that come from running a business. He also managed to qualify as an FCCA accountant at the early age of 23 without having to retake a year – so it’s fair to say that our Wayne knows his stuff! When not at work, Wayne likes to unwind in the company of his wife and 2 young children and can regularly be found indulging his passion for crown green bowls.